Anyone with the right work ethic, leadership skills, and dedication can build a multi-million dollar business. 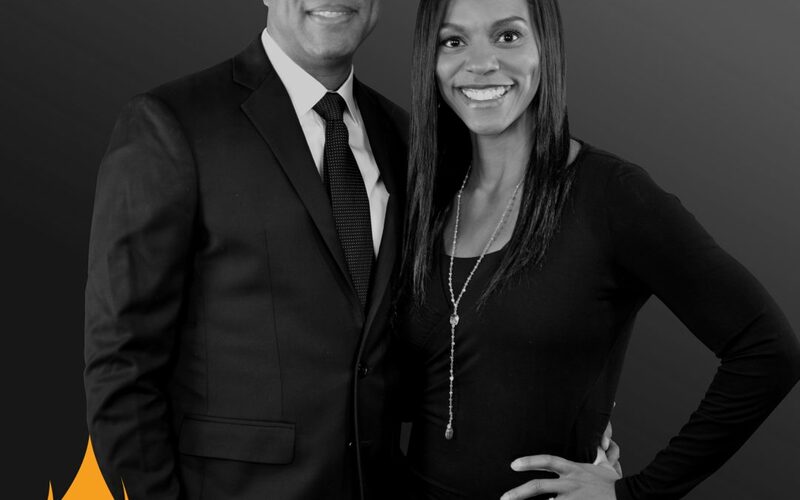 Our featured guests today are Steve and Pasha Carter. Pasha Carter is an NFL Cheerleader turned Multi-Millionaire, who took a $500 investment and turned it into a multi-million dollar empire. She’s an internationally sought after speaker, trainer and Direct Sales Expert. Steve Carter is a Howard University alum who also built a multi-million dollar networking business. Steve now travels the country training and teaching others how to build successful businesses of their own. He’s now one of the most powerful success coaches in the world. Together, this is America’s favorite business couple and I’m so happy to share this conversation with our community. @SteveCarterCLD I’m forever thankful for the way my father raised us, and I’m paying it forward with my kids. Talent is something that God gives you but skill requires you do something. Skill is beating on your craft, day in and day out, until you master it. I failed more, so I have been blessed to achieve more. More people have told me “No!”, … and I’ve had more ups and downs. That’s the reason we’ve been able to build one of the most successful organizations in network marketing. To be successful intimately and as business partners, we laid down a couple of non-negotiable ground rules when we started: 100% honesty and communication, and never arguing or going to bed upset with each other. One the main reasons why I join the Direct Sales industry is because I didn’t have the money or credit to start a traditional business. @PashaCarter I figured out a way to make it happen. I didn’t want another 12 months or 5 years to find me in the same position because I chose an excuse over figuring out a solution to the problem. @SteveCarterCLD Key components to succeeding in business: believe that you can achieve whatever it is that you want to achieve; find something that you enjoy doing; and don’t be afraid to work. As an aspiring entrepreneur, lay a foundation and plant a seed. Passive income can yield a lifestyle of the wealthy, Robert Kiyosaki. Communication and integrity are significant attributes for good leaders. If you’re more concerned with helping others to accomplish whatever it is they want to accomplish, somehow gives it back to you, if you’re able to successfully do that. Your job, as leaders, is to work yourselves out of a job, so that eventually those you lead don’t need your guidance. We’re teaching our children to be entrepreneurs, and they’re exploring their passions. Before a child leaves your home they should know how to build a million dollar business. We teach our children to embrace failure. If you failed and made a mistake that means you tried yourself something new and pushed yourself beyond the thing that you can naturally do. It’s not enough to just be the first or the largest, you have to pave the way for the next. Our featured guest today is T. Dallas Smith. Dallas is the Founder and Chief Executive Officer at T. Dallas Smith & Company. Dallas began his commercial real estate career in 1982 at Atlanta Air Center Realty under the guidance of Thomas W. Tift as leasing and management representative for the portfolio. 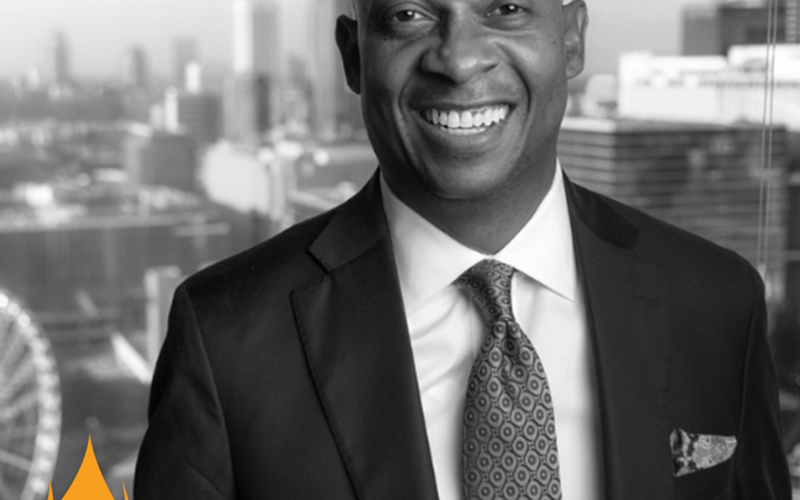 In 1989, he became the first African-American broker at Cushman & Wakefield of Georgia. His affiliation with the company opened doors for many minority brokers. In 1995, he pioneered the brokerage division for H.J. Russell & Company, an African-American owned construction and management firm, where he served as VP of the Brokerage Division. Dallas led the company initiative of acquiring 40 parcels of real estate, a full city block in the intercity of Atlanta resulting in a mixture of office, retail and multifamily developments now valued at over $20 million. In 2006, with the blessing of the late Herman Russell, Dallas opened T. Dallas Smith & Company, specializing in tenant representation. T. Dallas Smith & Company has led projects across the country with metrics exceeding more than seven million square feet of commercial property leasing and acquisitions and five thousand acres of land purchases. Since its inception, the team has grown exponentially successfully leading transactions totaling over $15 billion in aggregate value. Dallas is an innovator and thought leader in the commercial real estate community and is intentional about cultivating and developing diverse talent to help shape the commercial real estate industry. T. Dallas Smith and Company is the largest African American tenant representation firm in the country. You want to be a plumber, hang out with plumbers. Find the best person in the field, and go be around that person. Take the first step! If you have an idea that had never been done before, then go study pioneers and learn how they carried out their ideas that had never been done before. Seek His Voice and hear the thing He's called you to do; God called Noah to build the ark. He didn't called Jesse or James. Today is a solo episode from your host, Stephen A. Hart. 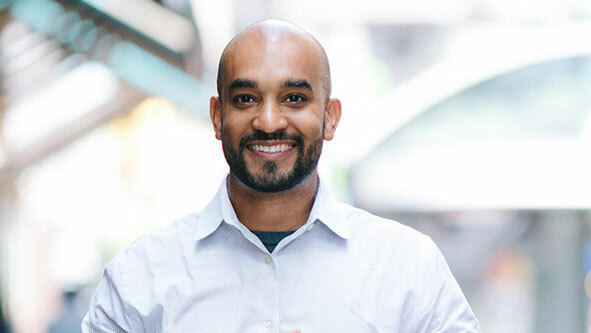 Stephen A. Hart is the founder of Isles Media, LLC, and a Brand Alignment Strategist who guides busy entrepreneurs and leaders through a clear and proven process to build, market and grow their amazing personal brand. Trailblazers.FM, is the #1 interview style podcast, hosted by Stephen A. Hart, that explores stories of today’s successful black professionals. The podcast has featured more than 150 black professionals and has been heard by more than 200,000 from 126 countries around the world. 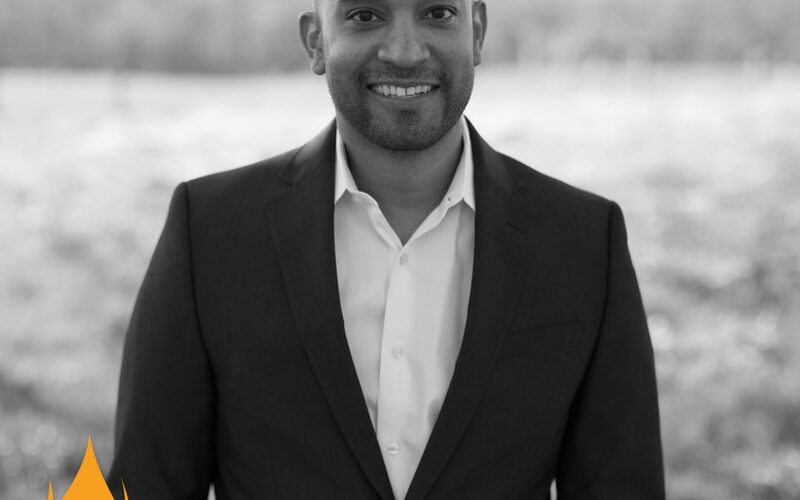 Stephen is a dynamic speaker on the topics of personal branding, entrepreneurship, marketing and podcasting, and is part of the 2016 class of the Black Enterprise 100 Modern Men of Distinction. Stephen has also been featured on the home page of Apple Podcasts, Thrive Global, BET’s Centric TV, and Fortune.com. How are you progressing toward your goals for this year? Are you keeping track with the goals and vision you had coming into the year? The first quarter of 2019 was the first time we had 3 consecutive 5 digit download months on Trailblazers.FM and we finished this quarter just shy of 40,000 downloads. That’s even more amazing because just a couple weeks ago we crossed the 200,000 lifetime download mark. Though we’ve been around for 3 years, almost 20% of our lifetime downloads came from the last 3 months. I am being transparent about that today because it feels a lot like the parable of the Chinese bamboo tree. The parable of the Chinese Bamboo Tree teaches us lessons about patience, faith, perseverance, and our true potential as business professionals. Like any plant, the Chinese Bamboo Tree requires water, fertile soil, and sunshine. In the first 4 years, the Chinese Bamboo Tree shows no visible signs of activity. There are times when you’re building a business or even if you’re in corporate, where you’re working hard in silence and you’re putting in the work but you’re not seeing the return on your investment yet, you’re not seeing that promotion or growth in your business. Others will see you watering this seed of yours and ask what you’re doing? They’ll tell you you’re wasting time and demand you stop. And this often comes from those closest to you: your parents, your spouse, your kids. In the fifth year, the Chinese Bamboo Tree grows 80 feet (nearly 30m) in just six weeks! Does the Chinese Bamboo Tree really grow 80 feet in six weeks? Was the little tree growing underground, developing a root system and a stable base that’s strong enough to support its potential for outward growth in the fifth year and beyond? We must grow a strong internal foundation first to be able to be prepared for whatever success will come. As quick as most of ‘quick dollars' come in your front door, is as quick as they’ll go out the back. Don’t chase the overnight success. You’re going to have your valley moments. You’re going to fail. You’re going to hit road blocks and delays. When those seasons come about and they will, just keep going. Keep watering that seed. Keep giving it good soil and sunshine. And just be patient. Have faith and believe in yourself and what’s to come. Whether you’re listening to this and identify as an entrepreneur, a creative, a corporate professional, a non-profit leader or whatever work you’re doing, you must begin to exercise patience, faith, and perseverance, if you are ever to realize your true potential. There are people who will come along side you. For me those people are a silent part of my foundation. They are the ones that helping me build this underground base. People like Shawn Dove and the Campaign for Black Male Achievement, who have sponsored this podcast for 2 and a half years now. And so many others like Mike, Annette, TiffSouth, Minda, DK, Aimee J and my internal board of directors who check in on me day in and day out and encourage me and hold me accountable. Who are those people in your corner? Make sure you’re surrounding yourself with Champions. People who are a LOT smarter than you are and people who believe in you, beyond yo mama, and who can hold you accountable to your goals and give you sound advice and encourage you through those seasons when you not seeing the seed bear fruit or like the Chinese Bamboo tree, it won’t even break the soil. Those are the people who will stand along side you on the days where your doubt and fears are stronger than your belief, and they’ll make sure you go water your seed and not give in. If you’re standing with the seed and you’re afraid to plant it, don’t be. By not putting your seed of vision and hope in the ground, and beginning to nourish it, you will deprive the world of something God planted in you. The seeds you plant and nourish will give shade that allows other plants in your garden to grow up and bear fruit. Stop looking at someone else’s garden. Focus in, put on your blinders, and tend to what God has blessed you with. 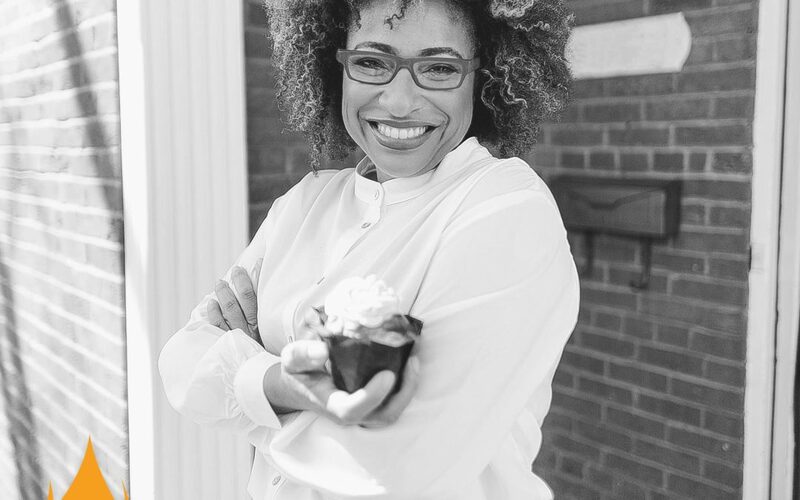 Marisa Renee Lee, Co-Founder of Supportal, a platform that makes it easier for you to respond when someone you care about is facing a life-changing challenge, is a cross-sector leader dedicated to engaging the private sector to solve public problems. Marisa previously served as the Managing Director of the My Brother’s Keeper Alliance. Prior to joining MBKA, Marisa served in a variety of roles in the Obama administration including the Deputy Director of Private Sector Engagement and as a Senior Policy Advisor for the Domestic Policy Council and at the Small Business Administration. Marisa began her career in international finance at Brown Brothers Harriman and during her time there, she founded The Pink Agenda, a breast cancer non-profit, in honor of her mother Lisa. Almost a decade later, The Pink Agenda is now a national organization of young professionals committed to raising money for breast cancer research and direct care service programs in partnership with The Breast Cancer Research Foundation. Marisa has been a featured speaker at several forums including SXSW. 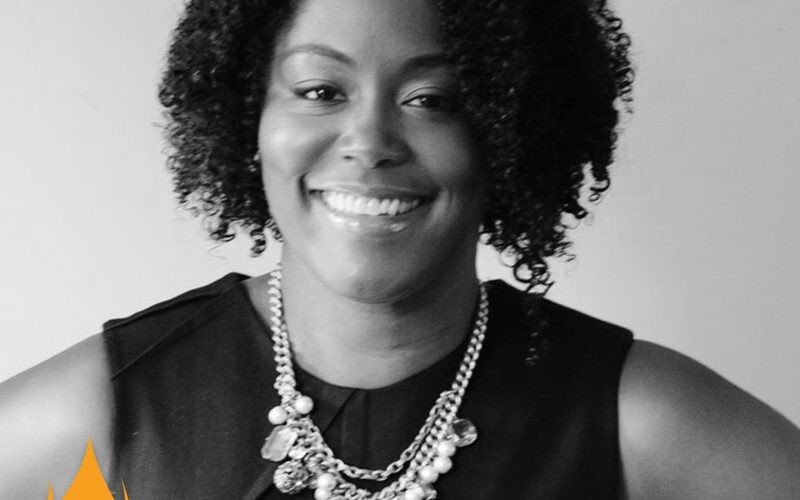 Marisa has also written op-eds on grief, race, opportunity, and economic mobility for CNN, Philanthropy News Digest, News One, Huffington Post, and other outlets. In 2017 she was selected a member of the “Power 100” by Ebony Magazine among other community crusaders she admires. Marisa Renee Lee is a graduate of Harvard College and an avid Green Bay Packers fan. She resides in Falls Church, Virginia with her husband Matt and their dog Sadie. I am grateful for my health. I spent a lot of time this past year being sick, so I’m incredibly grateful to be feeling healthy and able to get back to the gym and spend time outside. I’m super grateful for the quiet time I get in the mornings with my dog. I’m grateful for the 11 women — my roommates from college — who surround me right now. They’ve been an amazing support network in my struggle, trying to start my own thing and figure out so many different moving parts at once; and they’ve just been an amazing support network. The inspiration behind so many things that I do has been my mom, just thinking about how incredibly strong and gracious and patient and faithful she was, given how much time she’s spent sick, and still manages to take care of me, my dad and my younger sister. I learned a lot about what it means to be a good manager; what it means to be a good boss, and how to develop those skills effectively. Like most of life, a lot of it comes down to treating people the way that you want to be treated. I learned how to be a good manager/leader which comes down to time management, setting priorities, communication and over-communication. The importance around setting priorities, was another thing I learned. It was around figuring what the priority was for us and having the discipline to focus on that. I had always felt like I wanted to do something with my past history and my time spent helping my mom, taking care of her, and dealing with the grieving process. Professionally, I am most proud of working for Barack Obama — having an opportunity to support the first Black President, which was for me a real personal decision. The thing that I am personally most proud of is the time I spent taking care of my mom, making a decision, and shaping my life at the end of her life to prioritize her. I always felt that there are thousands of ways to make it easier for people to deal with difficult moments of grief, experiences and end-of-life decisions as it relates to their loved ones. We came up with the concept for Supportal to be your go-to resource when something bad happens to someone that you care about — whether it’s death, a serious illness, divorce, a miscarriage; we want you to come to us, and we will give you tips and advice for how you can support that person, and also some practical goods, services and products that can help lighten the load of the grief you’re experiencing. Consider Supportal in the same light as calling up your friend who has had the same thing happened. That’s who we are. We’ve had a laundry list of crappy life experiences that we are leveraging to help other people. We know things, that unless you’ve been there, you don’t know. We have a series of blog posts across all the key categories. You can hear firsthand from someone who’s experienced the kind of thing that you’re trying to help someone else with. We pair those contributions with products or gifts that you can buy for the person who you’re trying to help. Success for me is getting to a place where when something bad happens in your life, and instead of going to Google or Amazon and getting something random, you come to Supportal. The best first thing in support is simply letting someone know, in that immediate moment, that you’re there.